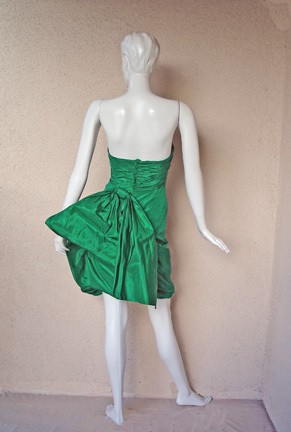 Fashioned of a deep rich emerald green silk taffeta with strapless ruched inner corset bodice. 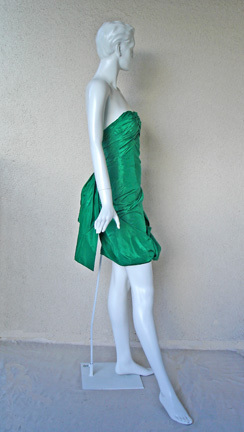 Dress is worked like a sculpture wraping around body with a swag finishing back adorned with a butterfly style large asymmetrical bow. 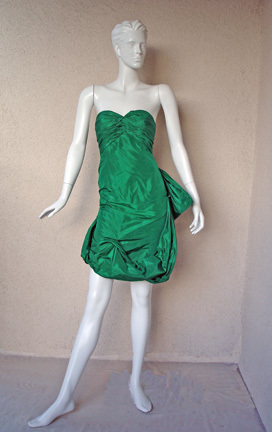 Size: 36; bust 30"; waist: 26"; hips: 34"; length: 30"